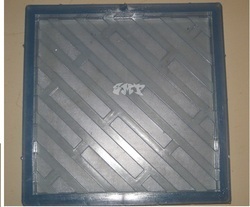 Offered by us is a magnificent array of Square Paver Tile Moulds to our clients. These tile molds are available with us in various standard as well as customized specifications as per the tastes and preferences of the clients. Moreover, patrons can avail this range from us in multi color synthetic tile molds finishes that is accredited for its higher functional life and usage in various applications. Looking for Mould Tiles ?